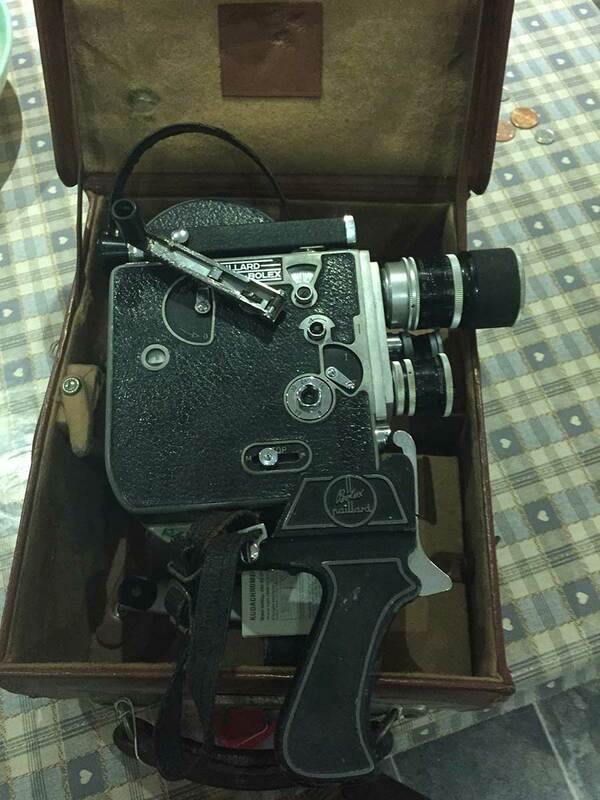 I have just recently purchased a superb Bolex H16 movie camera. This was purchased from a customer who we have recently transferred a large number of 16mm films to Digital. Around 10,000 feet in total. Bolex H16 movie camera and Accessories. The camera itself came in it’s original brown leather case. Also with a light meter made by Paillard Bolex. 3 Lens on a turret system. When shooting with the Bolex H16 movie camera. The operator has a choice of three different lens. they are as follows. Also Included with the camera. Was a spare 75mm F2.8 cine lens. In it’s own leather carrying case. Original Manual. 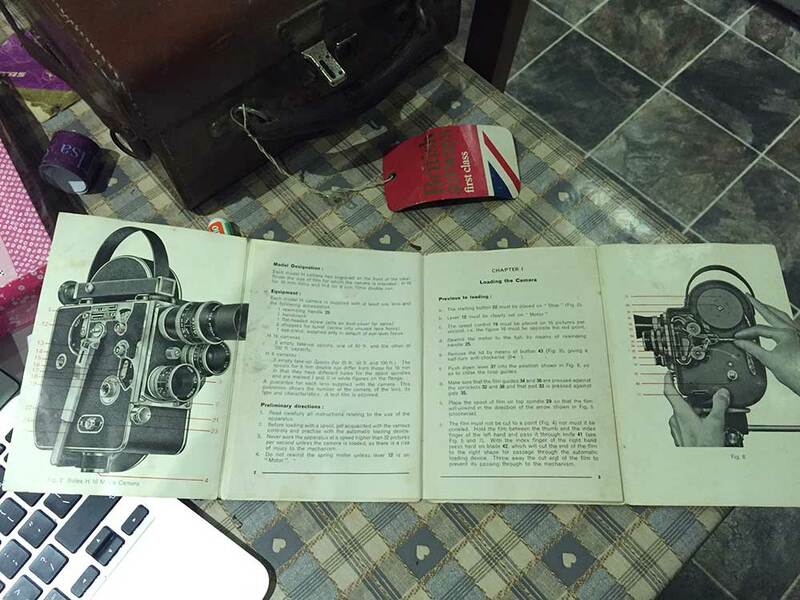 The camera came with the original manual as shown below. With invaluable Instructions on film threading. Lens operation and changing. Exposure setting and view finder setup. Shooting with the Bolex H16. My plan is to purchase some Kodak 500 T Colour negative 16mm film. The subject matter will be models dressed in 1960’s clothes to match the cameras vintage. Camera shoots will mainly be closeups. This is to avoid any 21 century buildings in the background. Brighton pier. Looking to shoot the models late afternoon in the Autumn sun. I will be looking for that wonderful golden light. 16mm film to DVD and digital service. Once the 16mm film has been processed. We will scan the film at our studios. All of our 16mm film scans for video editing purposes are to Apple Pro Res 4.2.2 HQ. Once the film is captured to hard drive it is colour graded and edited in FCP X. Final output will be to Vimeo HD. So you may view the 16mm footage online. I will be posting a link late November. For viewing the final 16mm footage online.